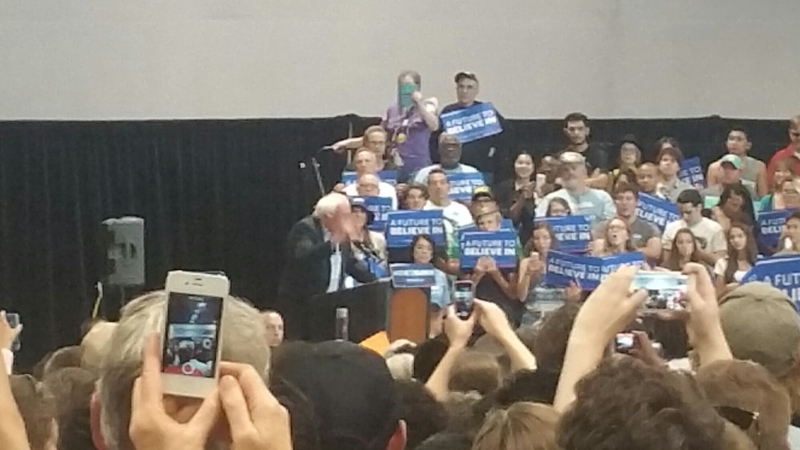 Spent almost 2 hours waiting in line, but we made it into the Bernie Sanders Rally. What a great experience. Fingers crossed he wins the nomination. Otherwise, why bother voting? Vote for corruption? Bigotry? Not gonna happen. For me it’s Bernie or nothing. Great experience for the kids.